Towering over the famed Puerto Galera beach is Mt. 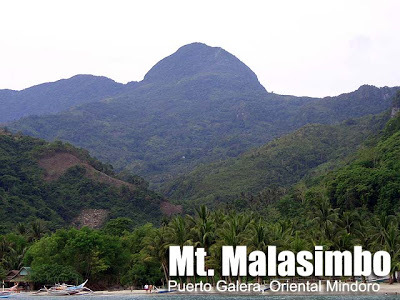 Malasimbo, part of the series of mountains of Northern Mindoro – along with Mts. Talipanan, Alinbayan, and, farther to the west, Mt. Calavite. 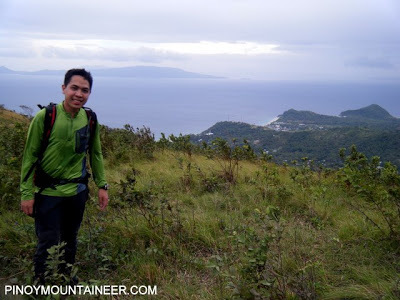 The Puerto Galera Mountain Trail actually cuts across these mountains, making for the most exciting climb in Puerto Galera. However, traditionally, Mt. Malasimbo was seen as a destination in itself, with enough fun and adventure especially if coupled with a beach trip. Mt. Malasimbo dominates the background of Puerto Galera shore, if you are in Talipanan or White Beach. 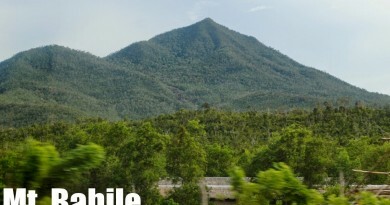 Like most of the mountains of Mindoro, it is a haven for fauna and flora: wild boar, deer, and rare species of birds are said to inhabit this mountain. Mt. 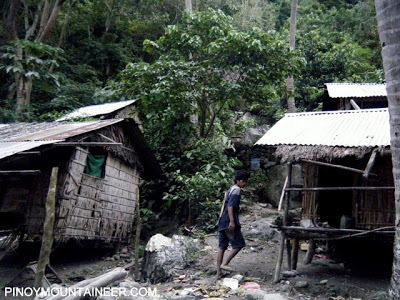 Malasimbo is home to the highlander Mangyan tribes; part of the experience in climbing this mountain is encountering our indigenous brethren. However, most of them have adopted modern styles of clothing already, unlike the tribes in Mt. Iglit-Baco who still wear the traditional garments (i.e. bahag for the males). The views of Mt. Malasimbo include the entirety of the Puerto Galera coast and Verde Island (NW). Likewise, the mountains and southern coastline of Batangas can be seen. 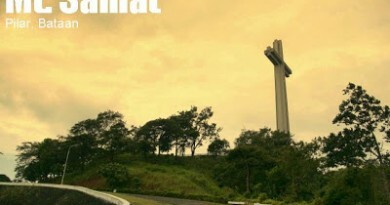 The dome-shaped summit of Malasimbo is another worthwhile sight. The trails go steep initially and beyond the watersource; otherwise there are no major obstacles in the climb. Unlike other descents, There is no regret when going down from Mt. Malasimbo. Puerto Galera, beach and nightlife, awaits! 1645 ETA Talipanan summit. Head back to the junction. 0930 ETA Talipanan/Mountain Beach. Proceed to beach, or head back to Manila. Take note that a comfortable climb using the itinerary above assumes daylight until 1800hr; for the rainy season, a more conservative and convenient schedule would place the summit assault on the morning of Day 2. Feel free to ask the friendly locals where the jump-off point is; indicate that Mt. Malisimbo is your destination. 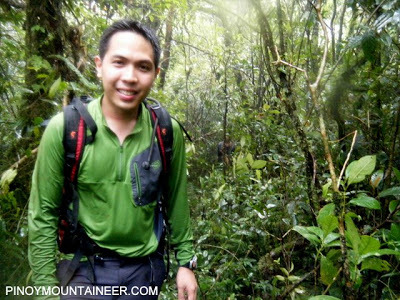 Experienced hikers would always recall the plethora of limatik of Mt. Halcon; in a way, Mt. Malisimbo is reminiscent of this, especially the forested portion between basecamp and the summit. Prepare accordingly. Foresters of Mt. Makiling would advice rubbing detergent bar in susceptible areas (i.e. socks, lower part of pants) to ward them off. Total trek time is 4-5 hours. This is way a daytrip is possible if staying in Puerto Galera. No permits are necessary in climbing this mountain and the other nearby hiking destinations. The jumpoff is the Iraya Mangyan villlage in Brgy. Talipanan – walking distance from the beachfront. 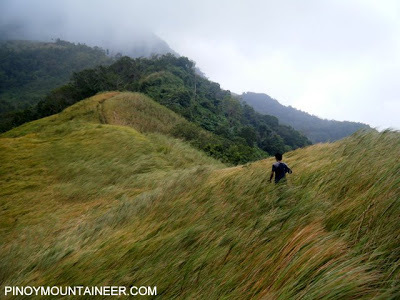 Open, grassy slopes characterize the initial part of the trail; and one is offered views of the Puerto Galera beaches. Past Guijo campsite, more grasses. You can see here that the trail leads to the forest, which leads up to the summit. The blogger at the summit of Mt. Malasimbo (February 2011). Another Mt. 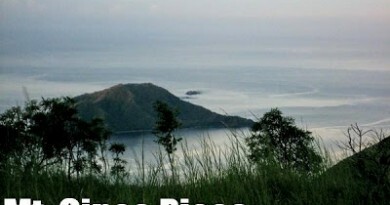 Malasimbo is said to exist in Zambales, but the famous Mt. Malasimbo is that of Puerto Galera. Initial information and main photo courtesy of Vanessa Lacson of OLAY Mountaineers. Information updated after the blogger’s trip up Mt. Malasimbo in February 2011. 39 Comments on "Mt. Malasimbo (1,168+)"
Esp.to sir Gid and sir Luke. I would just like to seek your help. We are planning to go to Mt. Malasimbo, maybe sometime in October. But our concern is not more of hiking and trekking reasons but for research purposes. We will traverse the mt. malasimbo for field work collection. SO we might be needing a guide, I would just like to ask you if you have a contact person there that you can refer to us. It will surely a big help for our group. Thank you in advance! This coming Sat. meron Outreach ang Hakbang Mangyan Explorers para sa mga kapatid na Iraya. Mag kita kita po tayo dun. magkano na budget ngaun sa mt malasimbo? im from manila. my iba pa bng nkkaalam?